It is the most empowering and secure feeling as an investor to see the building you have invested your money on prior to its actual construction. This is what 3D architect home designer does for you. They give you the real 3D visualization of your future property, and you are left with no worries of the building. If you are not happy with the design dreamed by your architect you may ask him to make changes as per your plans or vision. This facility is not available in traditional design process if you do not have access to 3D design as everything will be in mind and not before you. 3D architectural visualization allows you to see all the design details, ranging from lighting to wall shades and you can make changes, if any, asking your 3D animations designer that you don’t like. Having a 3D architectural visualization make things and especially the building process go faster as everyone, from the design to workers are aware of what exactly they are going to construct and how it would look. If you are unable to detect the design errors it can cost you dearly and if you can find after the construction, it will actually a costly affair to correct it. But in 3D rendering, errors can be easily found and can be easily rectified on time, saving lives, efforts and money. If you planning to invest in a building; just ensure to ask your architect for 3D architectural renders. We, at WeDrawFast, do exactly that. 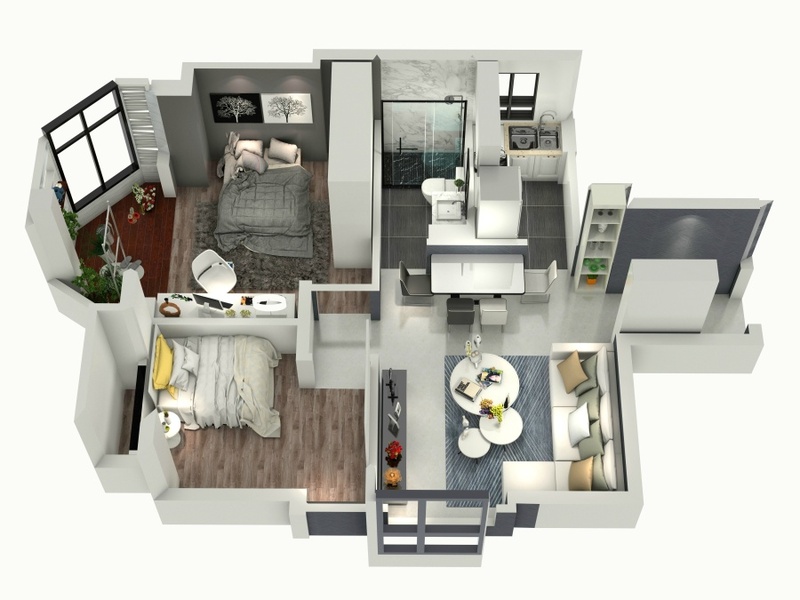 We help you get a fair idea of your property by producing virtual and physical 3D architectural models which are computer generation architectural visualization. This brings your dreams to life and helps you get exactly the design you want avoiding costly design errors.